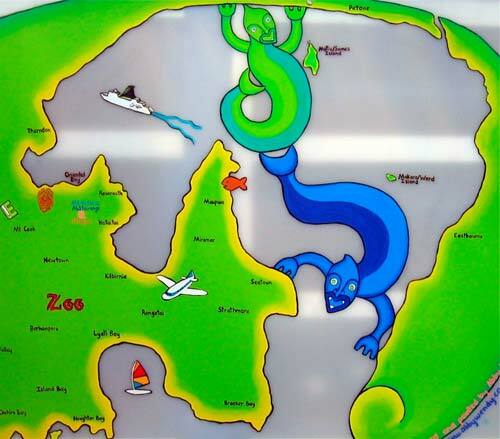 This mural is of the two taniwha said to have created Wellington Harbour. Ngake is blue, and Whātaitai green. The artwork is at Pikopiko Clyde Quay Kindergarten in Wellington.